Track 1: "Tranquil Chambers" is a soothing blend of meandering piano melodies, hypnotic chordal pads, synthesized sounds and silky choirs. This gentle ambient music softens the heart and mind, preparing the listener for the deeper experience of the following track. Track 2: "The Core" is very slow moving and has a truly expansive, profound atmosphere. This music uses a variety of unique psychoacoustic techniques that encourage very deep states of consciousness. These two tracks flow together as part of a seamless musical experience, but each has its own distinct atmosphere and may be used separately. Sometimes when I compose relaxation music, my primary goal is to create a work that is beautiful – music that will be appreciated mostly on an emotional level. At other times I focus on using psychoacoustic techniques that actively induce a state of deep relaxation. Inner Sanctum incorporates both of these approaches. The first track, "Tranquil Chambers" is a placid, melodic composition. The music is expressive, it’s heartfelt, but it’s also somewhat restrained. There’s emotional depth here, but it’s not gushing with it. Symbolically, this music represents the beginning of one’s journey within. Over the course of 27 minutes you slowly sink into an ever deepening state of relaxation as your emotions settle and you begin to drift free from your normal waking consciousness. The Core is a much more abstract composition. This longer piece is designed to induce a very deep state of relaxation. 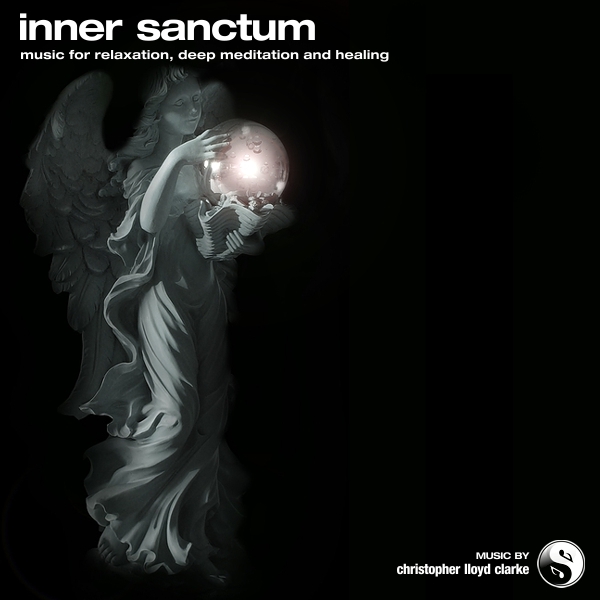 It is excellent background music for hypnosis or formal meditation and can lead to profound feelings of inner spaciousness and connection to the core of one’s being. I myself experienced some incredible moments of peacefulness and connection during the composition of this music. Perhaps more so than any other music I have ever created. On one occasion a feeling of such profound stillness, wholeness and unity came upon me that I could barely move or speak. I can’t remember the last time that a piece of music had such an enormous impact on me. I can only hope that others will experience something similar. It was truly wonderful. The Core will be particularly rewarding to those who listen with good quality headphones. There are a lot of subtle details in this music that really heighten the listening experience when they can be heard in high definition. A final word - in good humour - for any massage therapists who might be reading this: Tired of chatting with your clients? Need some quiet time? Play Inner Sanctum during your next session and I guarantee that your client will be fast asleep before you know it.